The newly developed silent synchrotor system, featured in the XR-Q7 turntable, has been proven to prevent the reactionary force generated by the direct drive motor from vibrating the turntable cabinet. It does so by rotating the silent synchrotor in a direction opposite to that of the direct drive motor at any given moment, thereby cancelling any torque fluctuations as they occur. 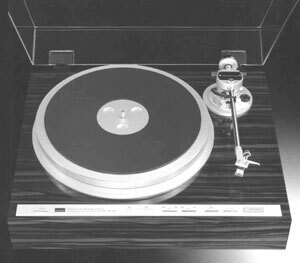 Other features of the Sansui XRQ7 include a quartz-servo system for perfect speed control, an amazing vibration free D-O-B tonearm with vibration free tonearm base, precise computer controlled fully automatic operation and a solid platter mat which helps assure optimum reproduction quality. 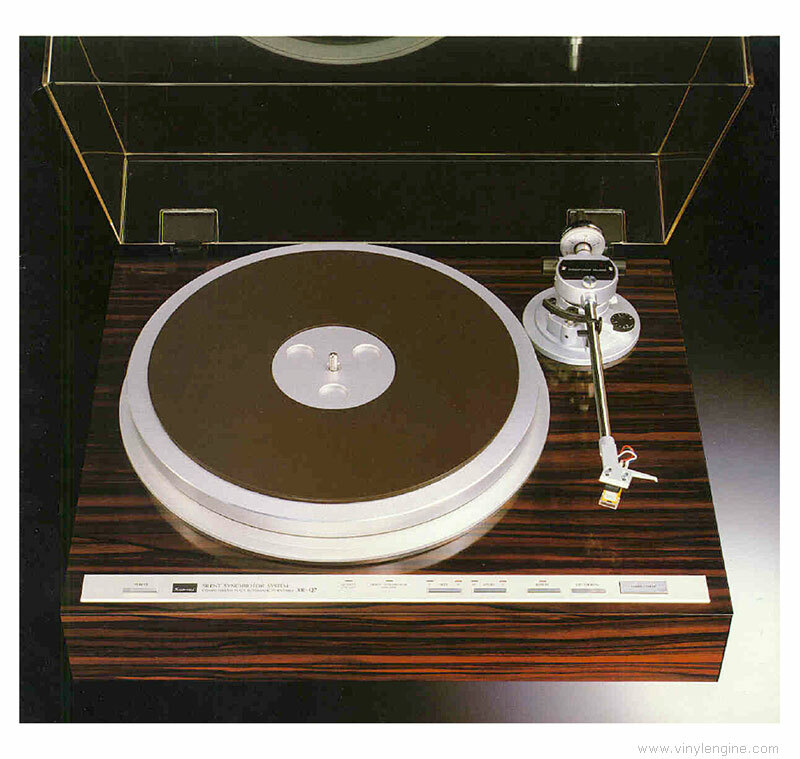 Sansui XR-Q7 / XRQ7 owners manual, service manuals and schematics are for reference only and the Vinyl Engine bears no responsibility for errors or other inaccuracies. The PDF files are provided under strict licence. Reproduction without prior permission or for financial gain is strictly prohibited. This website is not affiliated with or sponsored by Sansui. Posted Mon, 06/01/2009 - 23:33 by mbneace.